This Sha Sha has been busily working to finish making Davy’s birthday present since his big birthday number 2 is coming up on Dec. 15. In Genealogy Gems Podcast episode #119 I told how I decided to make Davy a Blues Clues card table playhouse. 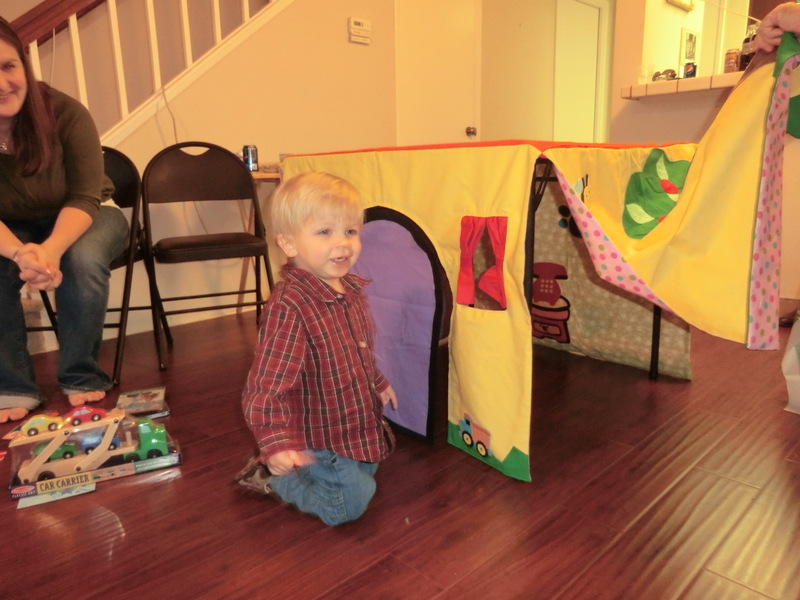 You remember throwing a blanket over a card table when you were a kid and it became a play house on a rainy day, right? Well this one was a bit challenging because there is no pattern for a Blue’s Clues playhouse so I just made it up as I went along. But thanks to the Internet and my trusty iPad I was able to come up with something that looks pretty close to the real deal. Here are a few snapshots of the playhouse. And it doesn’t just look like Blue’s house from the outside, but I lined the panels with fabric that looks like the wallpaper in her house, and even sewed some features in felt like the table and telephone and the framed picture of the felt people on the wall. You know to me what we are doing today with our kids and grand kids and in some cases great grand kids is just as important as researching our family history – in fact it’s more important! Creating memories with our loved ones is creating family history right now. And to me there’s nothing more important than that. Genealogy Gems Premium Members have been enjoying episodes on the Premium podcast lately covering how to use the iPad and other tablets out there in the marketplace for our family history. 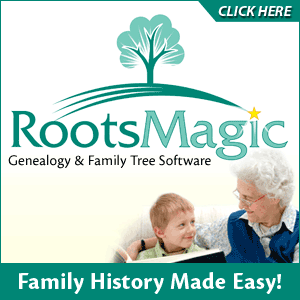 Ancestry.com has a popular free app that lets you take your Ancestry.com family tree with you on your iPad. The newest version of the app now includes the shakey Leaf Hints that you also see on their website. Plus there is a simple merge tool that helps you quickly add new relatives and information to your family tree. It also allows you to automatically adds information to photos, allows you to change your tree privacy settings, adds an integrated user feedback support feature, and is faster and more stable than previous versions. FindMyPast.ie has recently announced that they have launched exclusive access to the Irish Prison Registers 1790-1920. The collection is made up of over 3.5 million entries across 130,000 pages. Provides useful tips and recommend tools to help you discover your documentary heritage and navigate the LAC website. The Genealogist’s Google Toolbox was featured in the most recent issue of Shelf Unbound magazine. (p.40) A big thank you to all of you who have bought the book because those purchases I think helped bring it to the attention of a non-genealogy publication! We’ll be celebrating the 5 year anniversary of The Genealogy Gems Podcast! FamilySearch has just announced that the RootsTech 2012 Developer Challenge contest. RootsTech will reward developers who introduce the most innovative new concepts to family history with $10,000 in cash rewards and increased visibility. Feb 24-26 - Who Do You Think You Are Live! In London. Presenting Harness the Power of Google Earth for Your Family History and Google Search Strategies for the Family Historian. And I am very excited to have been invited to be part of a very special panel discussion on using technology for genealogy as well. I’ll be there not only debuting some brand new presentations, but you will also find me at my booth in the exhibit hall so be sure and come on by and say hi. June 1 – 3 Ontario Genealogical Society Conference in Kinston, Ontario Canada. The new version 5 of RootsMagic now offers us a Timeline view. Now we can really put a person’s life in context with events from their own life and from the lives of family members. But the awesomeness doesn’t stop there. They have added even more customer requested features: a research manager which lets you create and track unlimited research logs, the ability to filter the people view, as well as enhancements to multimedia, sources, to-do lists, and much more. There's a little something for everyone! called "What's New in RootsMagic 5". It’s amazing to me that the podcast is about to celebrate it’s 5th birthday, and I know many of you have been listening for almost that long. But it’s also so rewarding to know that there are new folks coming on board all the time. Not just to the podcast, but also just discovering the joy of family history. Newbies Eric and David wrote in about their experience. Eric says “I'm still fairly new to genealogy, only getting started after last New Years and have to say your podcasts have helped a lot (and are always entertaining). Thank you! Dan in North Carolina wrote in to say he is also Enjoying the Show . 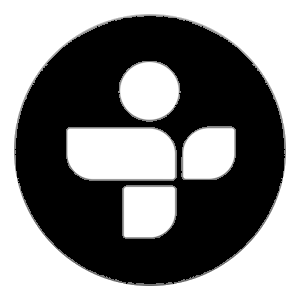 "have been enjoying your podcasts for a while now. This summer I took on a project to write a book about my father." Jennifer in Napa, CA wrote in about the new ordering system at the Family History Center branch libraries. Victoria BC Genealogical Society “Ask Granny”© founders Judy Russell and Greg Crane are pleased to announce that the Victoria Genealogical Society of Victoria, BC, Canada, has been named “Ask Granny”© chapter of the year. The project group, led by Merv Scott, has not only worked to revise our “Ask Granny”©materials for Canadian spelling and usage, he has graciously offered to share those files with others in Canada. Merv reports that their calendar is filled up through Spring of 2012 with “Granny” session in local retirement facilities.